Kevin Duhaney is a very well know Canadian film, television & voice actor. He has over 30 television & film credits to date with 26 years of experience. 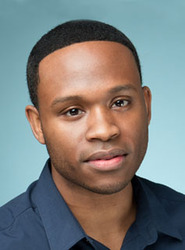 He began acting at the tender age of 4 and is best known for his roles in Power Rangers Dino Thunder, Total Drama Island, How She Move, Four Brothers, Half Baked, Honey & Treed Murray just to name a few. Now at the age of 30 he is in the prime of his career and ready to take the next big step to reach his full potential & success in the film industry.